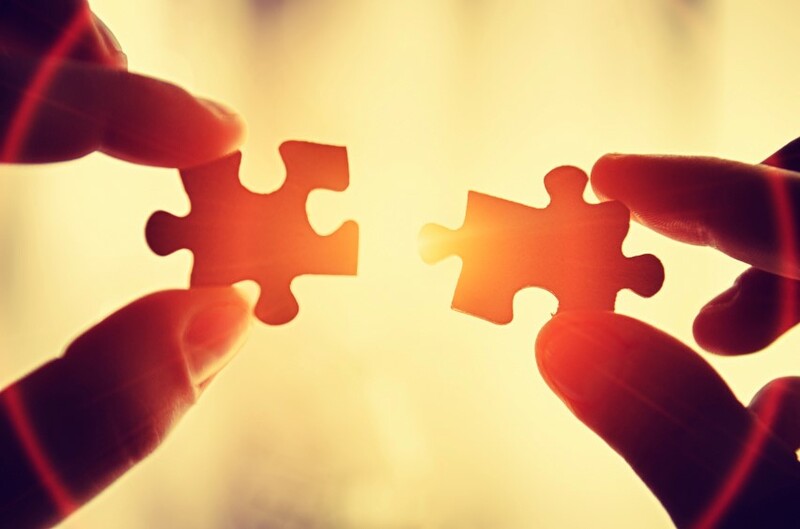 Future File / Blog / Could Your Loved Ones Pick Up the Pieces of Your Life and Business – Right Now? Time flies. And now that I recently celebrated my 64th birthday, I must say that it doesn’t really feel all that much different from being 34. Except for more wisdom, a nicer house, and a few things like needing three different pairs of glasses nowadays. Seriously, I am very thankful to be happy and healthy at my age. Until suddenly you aren’t. Recently, I had a routine viral illness – like seemingly everyone in upstate New York this time of year. Except this time, instead of getting better, my blood pressure (which is usually quite normal) started going up. And up. And up. Until one night, I practically burst the meter with a blood pressure reading of 210/124. As I made an emergency doctor’s appointment, the thought crossed my mind: what if this was going to be my last night on earth? It is an interesting question to ask yourself – particularly with high blood pressure, because I was still walking, talking, and nothing hurt. So, my answers were surprisingly lucid. First, it’s been a good ride. Second, I am thankful to have spent the majority of it with someone I love. Third, it feels way too soon. And finally, that I would be leaving a complete mess behind, the likes of which my survivors would probably never be able to sort out. You see, I am a typical 21st century guy. Seven email accounts. Two LLCs. Innumerable websites. A multiplicity of accounts that money goes into and out of. E-fax numbers. Software subscriptions. Bills right and left being auto-paid from accounts that would eventually run dry if I were no longer working. And an older spouse who is highly intelligent but pre-dates computer literacy. Of course, I’ve made attempts in the past to document the basics of running my life, but that night in front of the mirror, I realized how many gaps there were in it. No one would know how to access my email or smartphone. No one knows that property tax bills arrive in the mail twice a year, or how to renew my long-term care insurance. And, if God forbid my wife and I were both to croak at the same time (don’t laugh – we survived a horrific high-speed rollover accident together in 2015), survivors would have no idea where to find our wills, our safe deposit box, who to contact, or our final wishes. So, back to me and my health crisis. Within the next 24 hours, I did three things: saw my doctor, got started on blood pressure medication, and purchased a copy of Future File software for my PC. The next week was a project and then some. 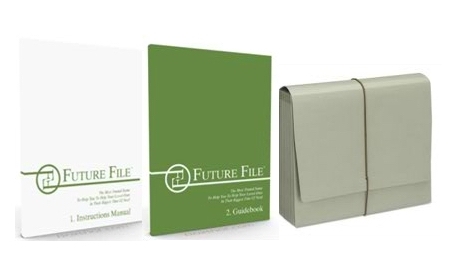 Future File, in a step-by-step format, guides you in stages through things like your medical history, desired final arrangements, contact information, and how to access important parts of your life, business, and health care. Where it really excels, however, is documenting your personal affairs. I always thought I did a good job of carrying around the details of my life in my head, but as I went through Future File’s questions, it was surprising how much I had to look up and document in writing. What is the policy number of that obscure accident insurance policy I took out years ago? What is the vehicle identification number and lease account for my SUV? What is the address where my motorhome is stored? What is the phone number for the proxy for dissolving my psychotherapy practice? It was an interesting and useful scavenger hunt – and as a bonus, now *I* know where all my personal and financial information is, while I am still alive and well! Thankfully things are much more copacetic now. My blood pressure is back to normal again, I am back to work, and my wife and executor are now both proud owners of a password-protected PDF file – over 100 pages in length – that spells out everything from my business details to how to apply for Social Security survivor benefits. I like being 64 years old. I wish I could stay here for a good while. But I realize that I can’t. To paraphrase what Steve Jobs once said at a commencement speech, “If you live each day like it’s the last day of your life, someday you’ll be right.” And, as I learned the hard way, *everyone* needs to plan ahead for the people they love. Tools like Future File make this important task a lot easier, no matter how complicated your life is. Rich Gallagher is the author of over a dozen books, including two national bestsellers for AMACOM/HarperCollins, and a practicing psychotherapist. He has taught over 35,000 people how to communicate in difficult situations, and his articles have been featured in Time Magazine, CNN.com, Dale Carnegie training, MSN, and numerous other media outlets.